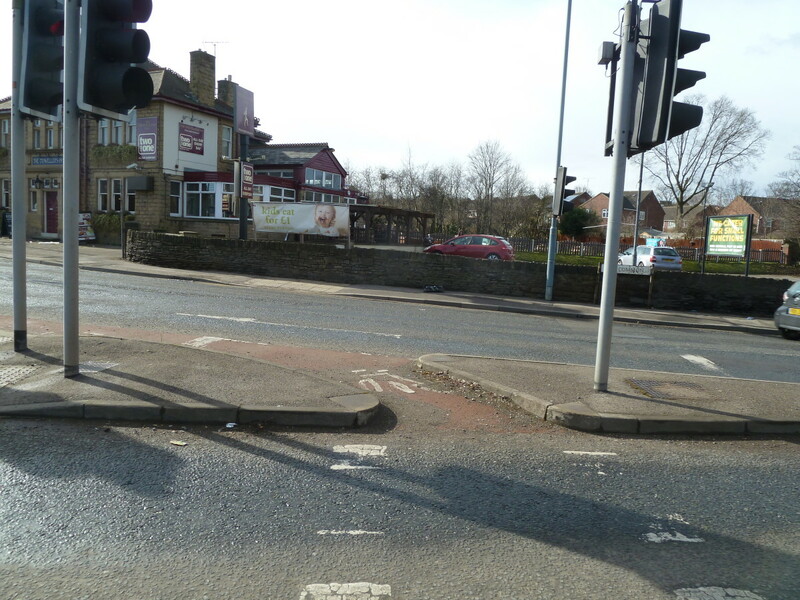 There’s some interesting historical cycling infrastructure in Sheffield, and one in particular of a *semi* protected straight on with a left turn lane in Ecclesfield. The design for this movement is quite innovative for the UK. The phasing of the traffic lights means that people can cycle down the left of queuing traffic, turn across the front of the queue and get to a position in front of traffic queueing to go straight on. You need protected straight on movements at junctions with left turn lanes because getting into an outside lane on a bicycle isn’t at all a pleasant experience, you feel extremely vulnerable when doing it. 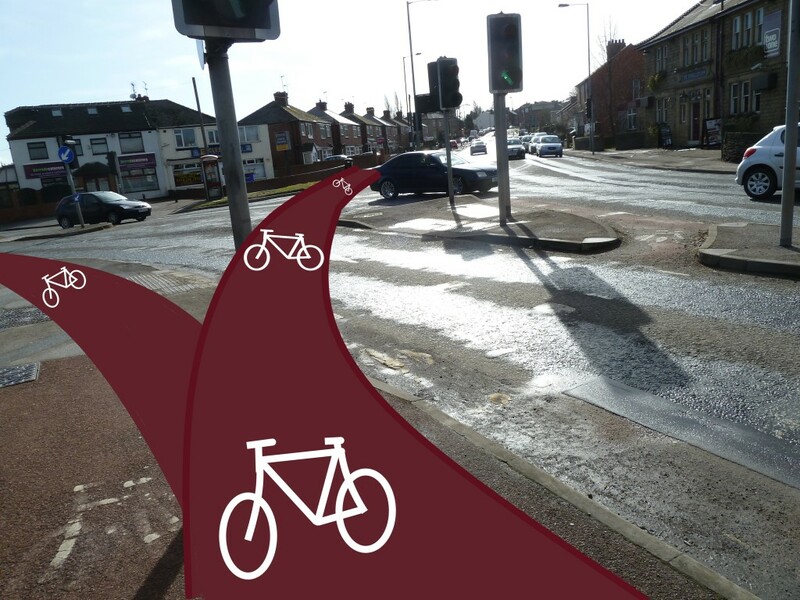 I think the fundamental design proposition is sound, not requiring people on bikes to get into the outside lane, but the execution is poor and it’s been neglected for a very long time. 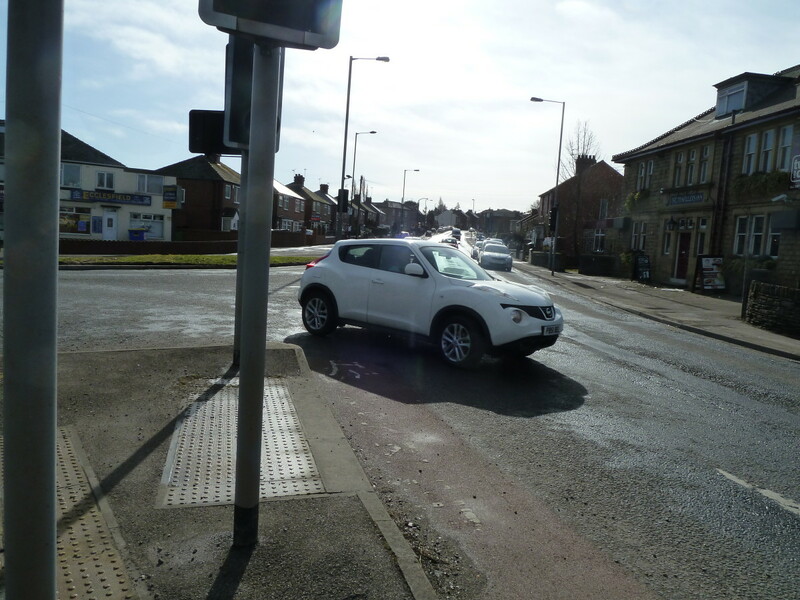 The approach lane is extremely narrow, the surface is terrible, there’s potential for conflict with people walking at the crossing point, there’s zero protection once traffic starts moving and ultimately, this junction exists in a vacuum, it is not part of a cycling network at all. This picture is from just 15 meters up the road and shows the 100m or so of 1.1m wide cycle lane that exists around here. 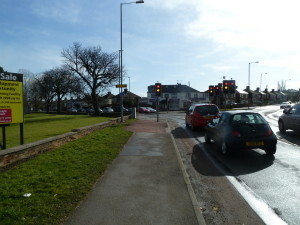 The Common, Ecclesfield. Definitely no Space for Cycling. 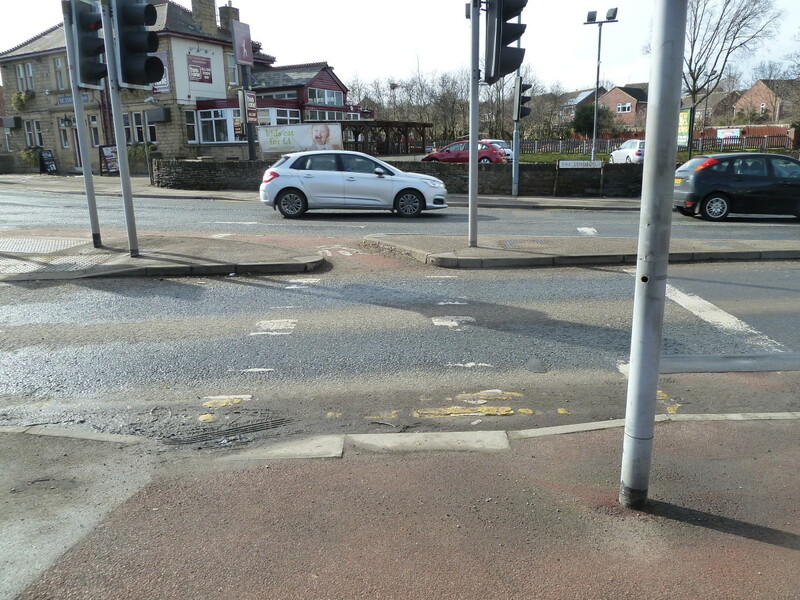 This video of me cycling here shows most of the problems with this junction very clearly, I get beeped by a car and passed far too closely by a van. 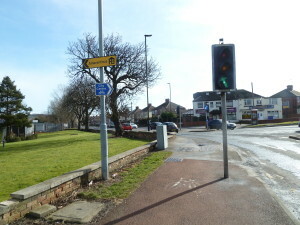 A much better layout for people on bikes would be something like this with changes in the traffic light phasing to hold left turning traffic when right turning traffic was green, as well as looking at the wider network of roads and creating Space for Cycling. 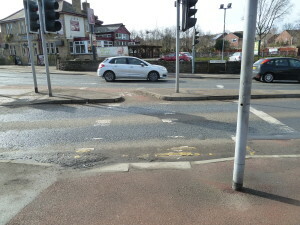 This junction needs a complete rethink, there aren’t even pedestrian crossing phases, only dropped kerbs and islands. This entry was posted in #space4cycling, infrastructure, Space for cycling on March 7, 2015 by Matt.